I am sharing Big List of 18 Communal Riots History which was happened in India, When Congress is the Ruling party India. 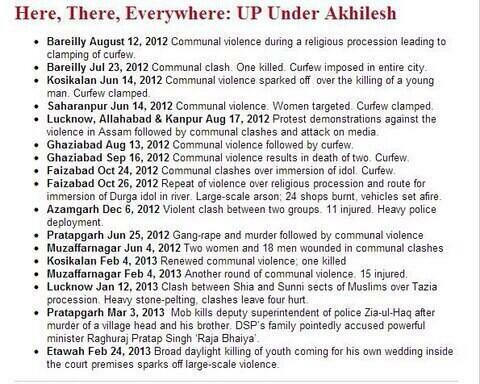 Here are the Big List of 18 Communal Riots History, India. Oct 1984 | Communal riots in Delhi | 2733 Killed | Ruling party Congress | Almost 100% casualty were Sikhs, which makes this a Rajiv Gandhi led genocide on India's minorities | Followed by “Big Tree falls” justification too from the Prime Minister! July 2012 | Assam Riots 2012 | Communal Riot was triggered between the Indian Bodos and migrants Muslims from Bangladesh. More then 80 people had died. WHY are we so obsessed with just 2002 Gujarat riots? What is it - let’s be honest. 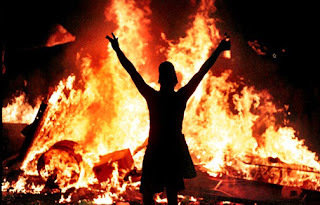 Does the Congress & Western Press have a problem with Riots or with Mr. Narendra Modi & be the Stature he has acquired? YOU be the Impartial Judge! Just a correction: 1979 Jamshedpur riots. Jamshedpur was in Bihar at that time, and now, it is in Jharkhand, has never been part of West Bengal.